Thank you to Dave Ramsey for sponsoring this post! All opinions are 100% mine and my opinion is that Every Dollar is a fantastic budgeting tool! Do you struggle with sticking to your budget? 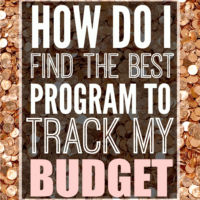 It can be so overwhelming to track and keep a new budget. To me, this is the MOST important indicator of your future financial success. You can create the best budget in the world, but if you don't revisit it frequently to make sure that it reflects your bank account and that your spending is on track, then your budget is worthless. The most important decision you can make when it comes to your budget is how to track it. We did paper budgets for years until we could find an online system that worked for us. A paper budget works, but it takes a lot of time to keep it updated. When I heard that Dave Ramsey was rolling out a budgeting program, I was first in line to try it out. I'm a HUGE fan of Dave Ramsey. His sensible, no nonsense approach to becoming debt free is helping millions of Americans achieve their financial dreams. My husband and I completed Dave Ramsey's Financial Peace University in 2012 and it was a turning point in our financial life, and coincidentally, the last money fight we ever had. What I found in the Every Dollar program is exactly what I hoped I would find. Every Dollar is an incredibly easy to use online program that tracks your budget in a way that makes sense, incorporates your goals and baby steps into your budget, and automatically transfers your bank charges from your accounts. It works off of the “zero based budget”, meaning that every dollar that comes in has a purpose. This helps you say no to “wants” instead of needs when they pop up. You can use the Every Dollar Budget with a cash only budget as well, but where it really shines is as an online budget for those that use debit cards. We've done both in the last 4 years, and while we loved the cash system, debit cards provide a heck of a lot of convenience when you have little kids. Less time to log purchases, count out change, and fill in transactions at the time of purchase. It allows you to do those things later at your convenience. The trick to using a debit card with your budget is to CHECK IT FREQUENTLY. That's really important and takes some getting used to. If you're new to budgeting, I strongly suggest updating it every single day. It takes less then 5 minutes per day if you do it every day and you'll never have to worry about your budget again. Once you get used to budgeting, you can start checking it weekly or every Monday, Wednesday, and Friday. Every Dollar connects automatically (with the “Pro” version) to your bank and updating your budget is as easy as dragging transactions over to your budget categories. It was so quick to log your transactions that I cut my usual time in half! Every Dollar incorporates your long term goals into your budget. It shows your progress and keeps your mind on your goals every day. You can see your debt being paid off and watch as you work your way through the baby steps. Every Dollar is easily customized to your situation. You can tailor this to your budget needs every month. It can copy last months budget for you automatically and then you can tweak it to fit this months needs. You can add as many items as you want, make items a “fund” (like a new car fund, a moving fund, a vacation fund etc.) and then you just move that money into a savings account. Having a “fund” option was a big deal to me, since I've never had that option in other programs. Every Dollar's App is extremely user friendly and intuitive. The Every Dollar App blows the competition out of the water for user friendliness. The recent transactions from your bank show up in bubbles on the bottom of your screen; just scroll to the appropriate category and swipe it in to add that transaction to your budget. It's SO easy to update. You'll have no excuse not to update your budget everyday. Even my husband (who hates “dealing with” the budget), found adding transactions addicting. This will give you the support you need to rock your budget and start getting major momentum! Having a system that's super easy to use and set up like this will change your entire financial life. It's a big deal. The Every Dollar app won't do all of the work for you, but it makes it so much easier for you to do the rest. You just need to log in frequently, drag your transactions to the right category and follow your plan. Even people that struggle to “keep up” with a budget can do this easily. Especially if you have an iPhone! (Every Dollar has an iOS app available now and an Android app in the works). I switched to Every Dollar two months ago and am loving it! I don't even have a weekly “budget update and budget meeting” scheduled anymore. I just swipe new transactions in the app for about 5 minutes a day, and let my husband know how we're doing every night at dinner. Every month, we do the budget Dave Ramsey style. I write up how I think we should spend our income for the month (down to the very last dollar! ), then Jon reviews it and makes changes. The app and website are free, or if you want to upgrade to have your bank transactions automatically updated for effortless budgeting, you should grab the Pro version for $99/year. This is the first time I have ever paid for a budget program, but the time savings has been well worth the cost. One thing I can tell you about a budgeting program is that as long as you use the program, it will pay for itself plus some in reducing your spending and helping you stay in budget. I get asked all the time what we do with money from our budget categories that doesn't get used right away. Things like “new car fund”, vacations, and presents. My favorite tip for this, which I got from His and Her Money is to create several savings accounts for each “fund” and transfer money to them as you fill them. For years, I didn't realize that you can have tons of savings accounts in your bank. We have six savings accounts now. You can head here to sign up for an Every Dollar account and start creating your first budget. How do you do your budget? 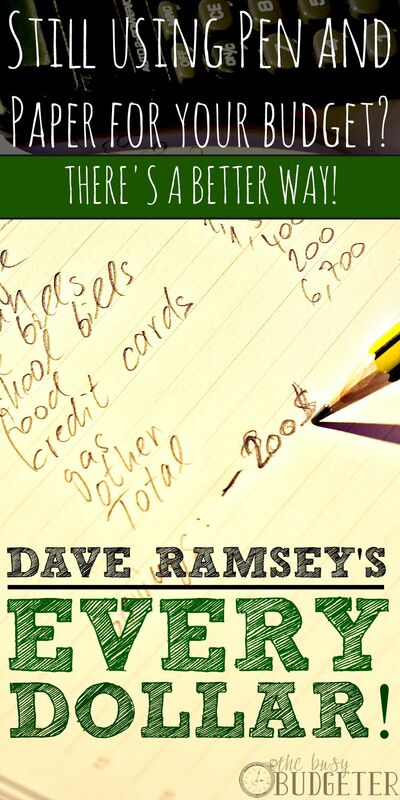 This post is sponsored by Dave Ramsey/Ramsey Solutions and may contain affiliate links. All opinions are 100% my own. Thanks for sharing our article, “Why We Have 13 Bank Accounts”! I’m glad to see it is working for you! Tai recently posted…How Derek Sall Went from in Debt and Divorced to Debt Free in Just 1 Year! You guys rock! Best podcast ever! 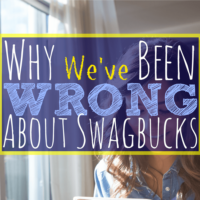 When we plan our budget, we have to look at the entire year because the expenses vary greatly from month to month and my husband is paid weekly so our income also varies. We have to roll over extra income almost every month to cover our children’s college bills in August and December (they do have tuition scholarships). Also, things like the termite contract, Christmas shopping, and the twice-a-year haul from Sam’s Club are not monthly. I use a spreadsheet to plan the year and Quicken for our checkbook. Towards the end of each month, I enter the next month’s income and planned expenses so we have a pretty good idea of what the month will look like. You’re doing great Laurie! That’s a super complicated budget to work with and you’re handling it really well! Great post! My wife and I started using Every Dollar a few years ago and love it! 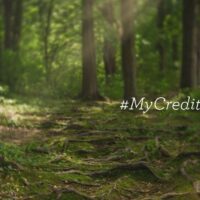 We also just started a blog about financial freedom & how we got out of debt. Does Dave Ramsey have an affiliate program, or do you have to contact Ramsey Solutions directly in order to publish a sponsored post? I haven’t heard of the “Every Dollar Budget” app. Sounds like a great app to use since most people, especially millennials, are almost totally digital nowadays. Creating a budget and sticking with it is a tough thing to do these days with hectic schedules. But it is essential.